Although supporting child education is Jallosh’s primary goal, it is not limited to the same! Their recent India Day Parade proceedings from New York City were donated for Kerala floods. And they have donated to NGOs like Sant Gadgebaba Mission, Gharkul and Ekal Vidyalaya. Spreading Indian culture, music and awareness through ‘Dhol Tasha’s the US is Jallosh’s main purpose. In the last 4 years, Jallosh has raised about $100,000 and donated most of it to various NGOs in India. All the members of Jallosh are well connected with their Indian roots and are very aware of their social responsibilities. The donated amount is used to support child education and is mostly used to provide better infrastructure and supplies for vocational training in schools. Despite being very busy in their professional and personal lives, Jallosh members make it a point to spare their free time for practice and performances. Be it a doctor, engineer or an IT developer, every weekend they all come together at a local park and practice for their next performance. Ganesh festival, India Day Parades, Holi celebrations etc. are not complete without Jallosh Dhol-Tasha beats and Lezim! 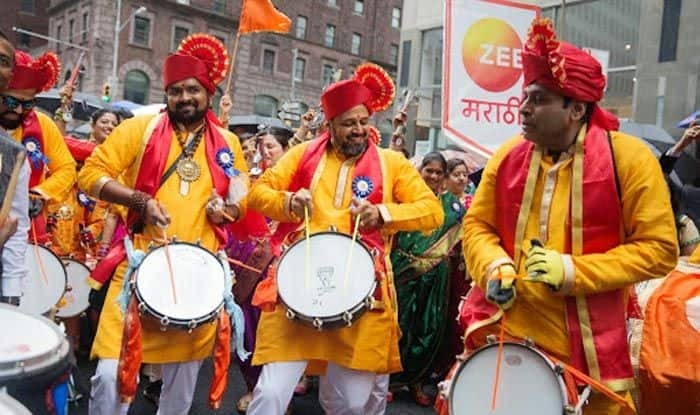 Zee Americas takes pride in supporting such a socially committed group by inviting them to most of the Zee events to perform and now – by making a special feature on them to make them a part of every Marathi household watching Zee Marathi Americas. Jallosh aired on February 10th 2019 at 8 pm ET | 9 pm PT on ZEE Marathi Americas.